If you’re looking to see the wonderful views of the province of Malaga, as a bird sees it, this is your activity. The outing is done from the aerodrome of Velez-Malaga, heading towards Mijas and it has a capacity for three people. 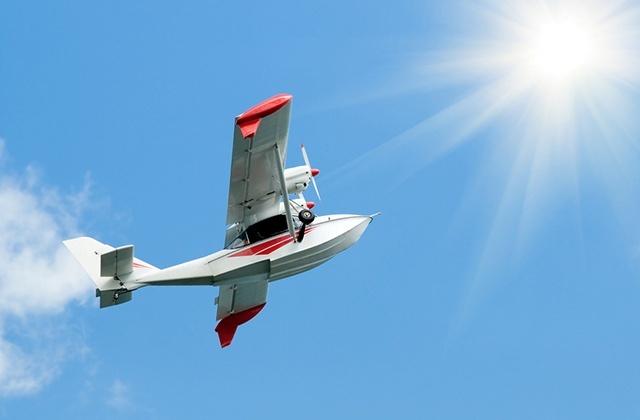 As well as feeling the vertigo and the adrenaline for one hour trip, you will receive a few theoretical classes for you to learn and experience the feeling of flying the aircraft in full flight. If you prefer the marine environment, Marbella offers a range of activities for you to experience the Costa del Sol like never before. 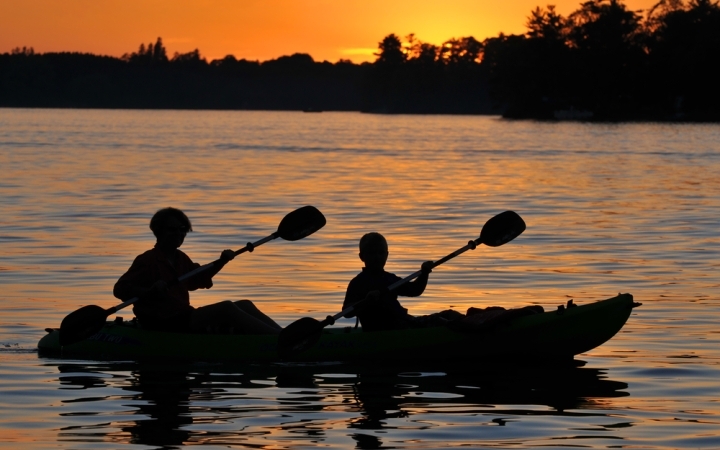 You can choose between jet skis, water skiing, wakeboarding or renting a sailboat. You’ll have the option to adjust your plans to what you’re looking for and make a combination of sports to enjoy them a whole day, always under the supervision of specialized personnel. Driving a Ferrari or a Lamborghini has never been easier. You can enjoy these luxury sports cars, with paddle shifters for a more professional experience and rent them according to the laps you want to give in them. You can do of this in Campillos, without leaving the province of Malaga. The circuit has a length of 1.5 km and a main track of 185 m where you can apply full throttle acceleration and test the fireball. 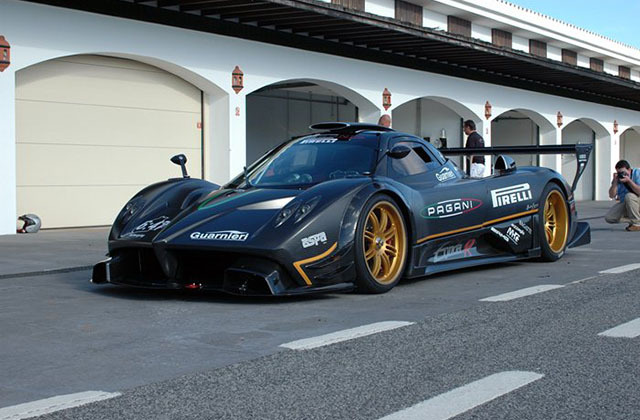 And if you are passionate about video games, you have to visit the Ascari circuit in Ronda. There, the world premiere of the famous game Gran Turismo 6 took place, and today, it is the longest circuit of Spain, with nearly five and a half miles. Are you going to miss the chance to test a Formula One car on this road? With this sport you will feel the wind in your face while enjoying the views of the province of Malaga. You will have to go to Manilva and choose from three modes to enjoy this adventure: In paragliding, where you have a smooth flight, with no noise and in which to fully enjoy. 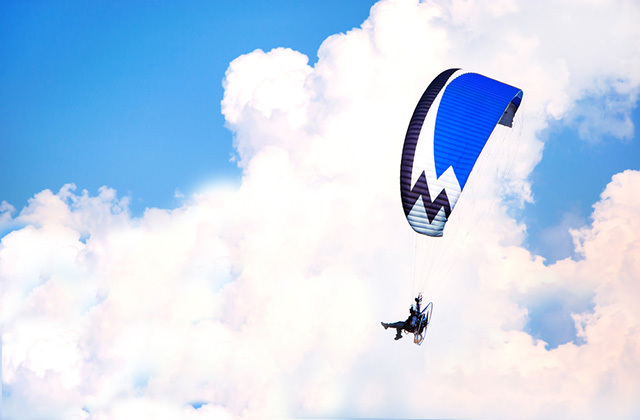 Also paramotor and paratrike, both equipped with a motor and the latter with landing gear, making it easier to practice. 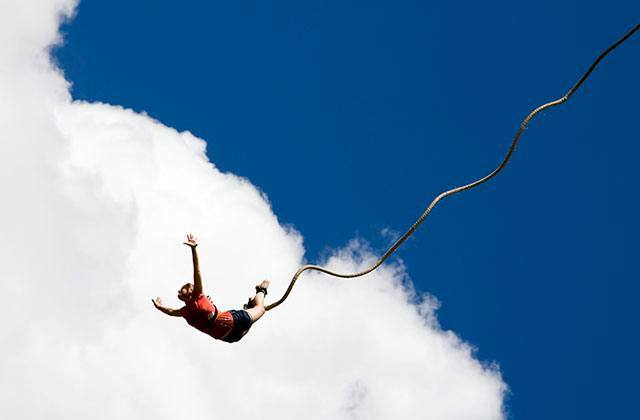 If your body asks for pure adrenaline, if you’re looking to live an extreme experience, in the province of Malaga you can relieve all the stress of everyday life doing bungee jumping. No need to have good physical shape, just as long as you do not have any health problems that may be affected by the adrenaline rush that the jump causes. 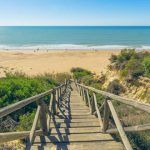 Puerto de la Torre, a popular district just a few minutes from the center of Malaga, offers you to make this adventure without having to go to the capital. In Ronda you will also feel all the excitement of the moment, in an emblematic city and minutes from the Tajo. Remember to wear comfortable clothes, footwear with good grip, food, water and sunscreen, but it is an activity to do with all your family and children over 15 years. There is a growing number of bold ones that approach the Genil River, on the border between Malaga and Cordoba, to practice this sport. If you’ve never practiced this sport do not worry, because you will always be accompanied by an instructor who will make sure you descend the river safely and enjoyably. 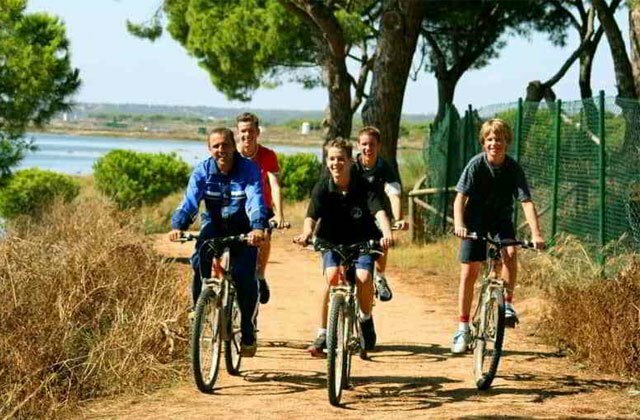 It is an activity that can be done perfectly as a family, provided the children are older than 12 years. 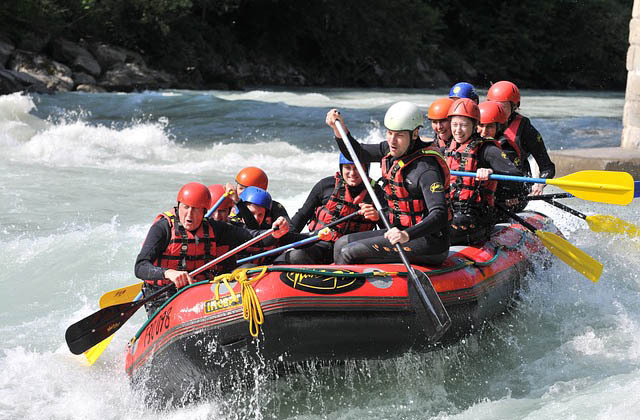 Once equipped with good footwear to be able to walk through water, bathing suit, helmet and a wetsuit, you’ll be more than ready to go down the rapids aboard an inflatable raft. The activity lasts approximately 4 hours, with a descent 9 km long that will take us approximately 2 hours. Do you like all the activities related to climbing? Well now with the iron roads, you will have no excuse for not practicing them. 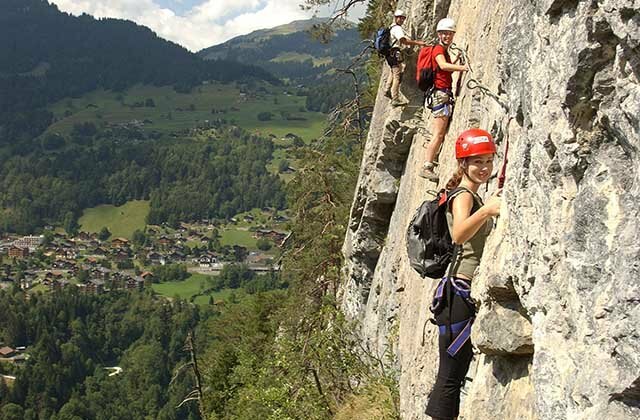 These are presented as a form of climbing that brings you closer to the mountain as you will discover its corners and ridges using steps, rock anchors, handrails, ramps and bridges that help to climb both vertically and horizontally. It is much easier and affordable for anyone, even if he/she does not practice sports regularly. It is a good option for the first encounter and to do as a family with children. The most impressive iron roads of Andalucia are in Malaga, and we highlight some such as Antequera, Ronda (located in the Tajo de Ronda, with amazing views) and Montejaque (one of the most exciting thanks to the zip line of more than 70 meters that we find halfway through the journey). The routes are of medium-low difficulty and are usually scheduled around 2 or 3 hours’ long. It is recommended to wear comfortable clothes, some warm clothes, long pants, some food and water and especially … The camera! 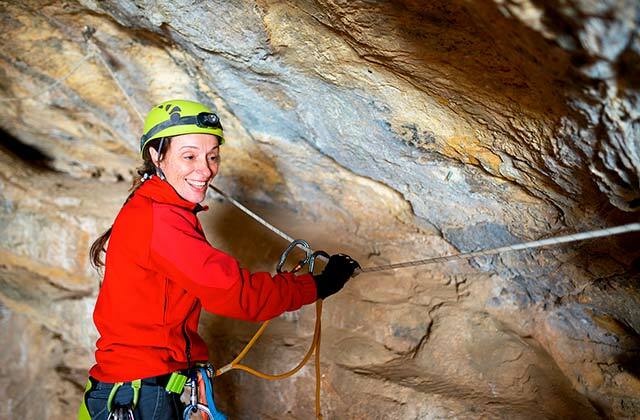 Caving is a very complete sport because it combines stretches of climbing with rappelling jumps, descents and, in many cases, you will have swim across parts of the cave that are underwater. It is recommended activity for families at its most basic level, and for anyone who is curious about this underground sport. All the routes last between 3 and 5 hours. Just wear comfortable clothing and footwear and be eager to spend a different kind of day! The easiest routes to go on are the ones of the Cueva de la Limosna and the Cueva de Nagüeles. In the latter you will be able to leave the car almost next to the start and cross it in about 3 hours with the children of the house. If you are interested in an intermediate level try to visit the Cueva de las Excentricas, located in Ronda, with a route of 5 hours and water sections that blend with underground landscapes. Do not forget your camera. The Cueva Hundidero-Gato is one of the most famous of the province and it is full of amazing formations. Inside you will be able to see the different formations of water such as lakes and siphons and combine caving with aquatic descents. Once in the Parque de las Nieves, you will be able to visit the Cueva de la Tinaja, so called because of archaeological remains from the Neolithic that were found therein. And if you are a professional of caving, the Cueva del Agua is made for you. A route that runs through narrow areas and formations of all kinds. 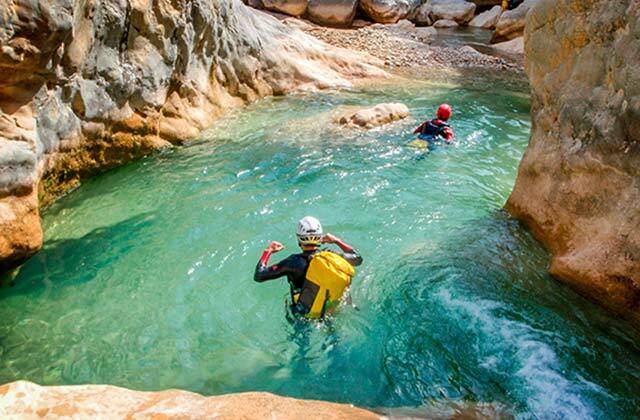 Canyoning is one of the most fun water sports that you can enjoy in nature. In Malaga there are many destinations to enjoy this activity and the only requirement is to know how to swim. Depending on the area and the difficulty you choose, canyoning may last between 3 hours and half a day so it is always advisable to bring some food and water and, of course, bathing suit, comfortable clothing and footwear. Another of the ravines par excellence is that of Rio Verde. In it you will find potholes, will perform abseiling and you will be able to slide down natural slides. 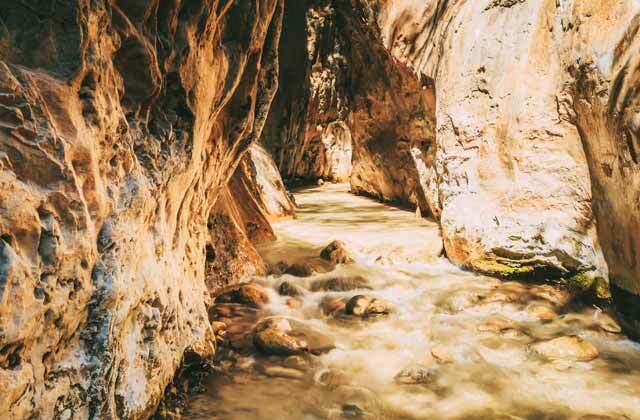 The Moreno Ravine, near Frigiliana, is recommended for more experienced athletes, but it is well worth it for its stunning waterfalls, one with more than 17 meters in length. If you prefer nature and speed, you can decant on a 4×4 route in the province of Malaga. You will be able to choose to do it in the Sierra de las Nieves, where you will feel the excitement and vertigo while crossing villages such as Montejaque, Instan or Tolox. The Genal Valley and the area of Axarquia are also presented as alternatives where you can step on the pedal of your Jeep and enjoy the incredible scenery on 4 wheels. In Málaga, whether in wetlands or in open water, you can take a pleasant paddling trip. If you decide to do this activity, we recommend you do so in one of the most interesting and prettiest coastal areas of the whole province, los Acantilados de Maro (Nerja) or El Cantal (Rincón de la Victoria). In any case, if you decide to go inland, you’ll be fine, since you can paddle through the famous reservoirs of El Chorro, then through the famous Caminito del Rey or la Viñuela. 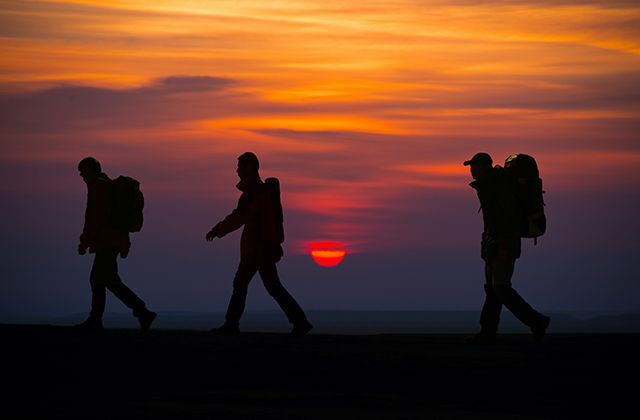 When we talk about hiking, everyone thinks about getting up early, but that’s not what we are suggesting, since what is fashionable now are night routes. There are many adventure activity companies that organise routes to the most important and beautiful summits in the whole of Málaga: La Maroma and El Torrecilla. Another attractive proposal is to visit Torcal de Antequera. 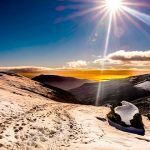 We recommend you don’t let this opportunity pass you by, since both summits afford a panoramic view you will certainly never forget, and you will also enjoy a spectacular sunrise. Another suggestion we make is aquatic hiking. 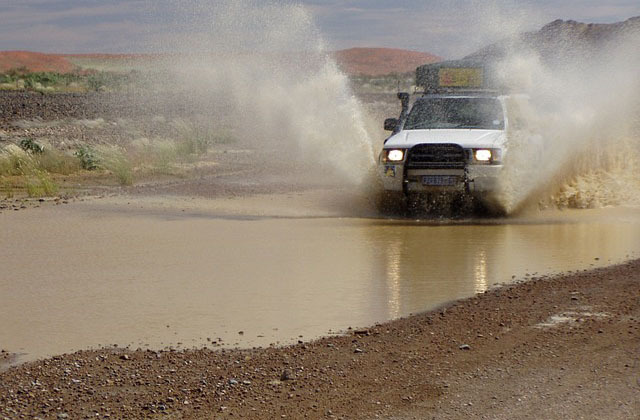 Some people are tired of land routes, so we suggest this experience. While the most famous area for this activity is the River Chíllar, Málaga has many other routes, such as el Padrón, las Angosturas del Guadalmina, el Higuerón and el Genal. Málaga is a privileged destination, since it has all the conditions required for mountain biking throughout the year. Its varied landscape means you can go from mountain to beach in just a few hours, Hear stories and legends from each corner and, at the end of the day, enjoy succulent produce. Cyclotourism is a different and particularly healthy way to discover Málaga province. 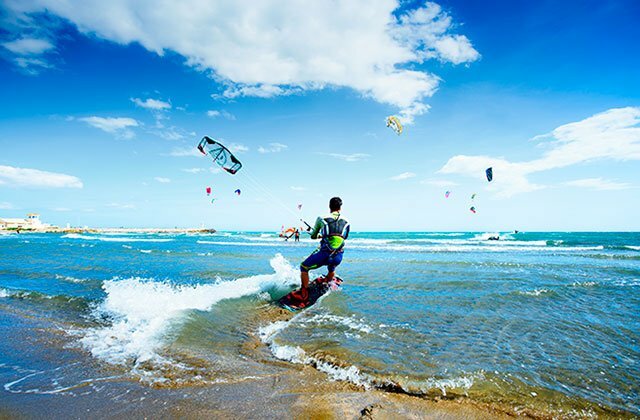 One of the most thrilling sports activities you can do in Málaga is kitesurfing. 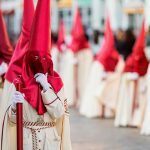 Whether from the western Costa del Sol to Axarquia, you will find a wide range of possibilities for spending some time doing this dizzying sport. 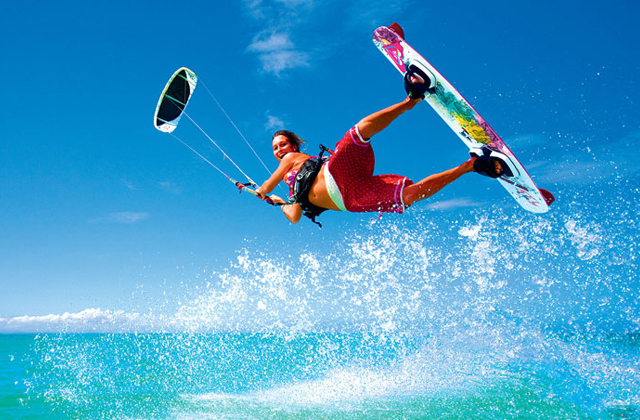 Guadalmar, Marbella, Nerja and Estepona are examples of some places where you can enjoy this and other water sports. If you want to feel the adrenaline of all these sports, do not hesitate to stay at the best hotels to make the most of each. The best option is Fuerte Hoteles. 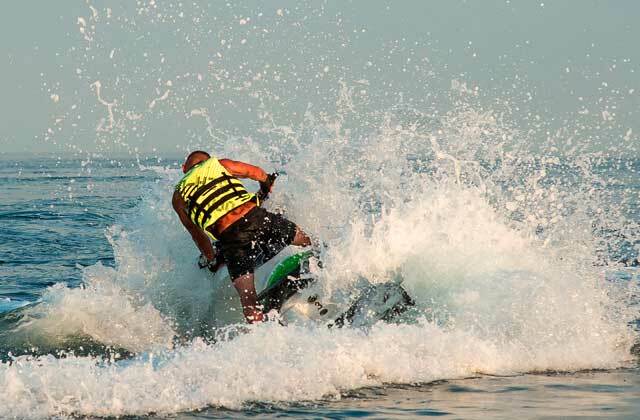 The chain has establishments on the beachfront in Marbella, Torrox or Estepona to be able to practice both water sports as routes on buggy or 4×4. Come to Fuerte Grazalema if you want to keep in touch with nature all day. Hi can you help me find these activities? I don’t see any links in your article.